In late October 1915, Ernest Shackleton, leader of the celebrated British expedition to Antarctica, surveyed the crisis unfolding around him. Shackleton had originally planned to sail his ship, the Endurance, through the Weddell Sea to the South American side of the continent, land on the coast, and then march a team of five men, supported by dogs and sledges, to the South Pole and then onto the Ross Sea on the side closest to Australia. Completing this mission would make the explorer the first to cross the entire continent. In the context of other Antarctic expeditions, this achievement held out the promise of enduring fame for Shackleton and glory for Great Britain. But in late January 1915, pack ice had locked the Endurance about eighty miles from land, holding the ship and her crew hostage to the drifting floes; by October, the currents had carried the boat almost seven hundred miles north and west. The floes—large masses of floating ice, some weighing several tons—alternately broke apart and came back together in the ocean’s mighty swells. Caught in this shifting mosaic, the wooden ship creaked and groaned under the immense pressure. It seemed only a matter of time before the Endurance would succumb and sink. The next day, the ice intensified its assault on the Endurance, squeezing her like a vise. The vessel was “in her death agony,” wrote the expedition’s surgeon, Alexander Macklin, in his diary. “It was a pitiful sight. To all of us she seemed like a living thing—we had sworn at her and cursed her antics in a seaway, but we had learned to love her as we now realised, and it was awful to witness her torture.” Late that afternoon, Shackleton ordered his men to abandon ship and take refuge in tents on the shifting ice floe. That night, the temperature fell to -15° Fahrenheit (-26° Celsius). From his Antarctic experience, Shackleton knew that one of the most important tools he had in accomplishing his mission was his presence. How he showed up each day in front of his men—what kind of energy he gave off, how determined he looked, even how he carried his body—had a huge impact on the team. He used what we would today call his emotional intelligence to maintain his determination and bravery; when these flagged, he never let his men know. This is an important lesson for our time. Leaders often forget that all eyes are on them—as they give a speech, sit in a meeting, walk down a hallway, or glance furtively at their smartphone during dinner. This is especially true when the volatility of a situation increases. In these moments, people instinctively look to leaders, searching their words, actions, and body language for guidance. This means that individuals in positions of authority must learn to embody their mission not only in what they say and do, but also in how they show up. When a leader appears assured and levelheaded, others are more likely to respond to the call. As the forty-one-year-old commander worked to exude confidence, he kept his men’s focus trained on the task ahead. It was no use considering what had been lost or what might have been; the new goal was to get everyone home safely. The morning after abandoning ship, Shackleton announced the team would march across the pack ice toward a former explorer’s base on Snow Hill Island, some three hundred miles northwest. He estimated the men could walk five to seven miles a day. He was sure that when they arrived there, they would find emergency stores cached by past expeditions. From Snow Hill Island, the commander and a smaller party would travel an additional 130 miles west to Deception Island, where whaling ships were known to dock. The trek across the broken ice would be difficult for a group hauling two of the ship’s three lifeboats, food supplies, and other stores. But Shackleton was in a hurry to get his team moving, partly to improve the men’s morale. “It will be much better for the men in general to feel that even though progress was slow,” he noted privately, “they are on their way to land, than it will be simply to sit down and wait for the tardy north-westerly drift to take us out of this cruel waste of ice.” A second reason of Shackleton’s for taking action now was to avoid damage to the lifeboats; this might occur if the men waited for open water and ended up sailing in choppy seas amid shifting icebergs. On October 30, 1915, three days after evacuating the Endurance, the men set out for Snow Hill Island. Some hauled the lifeboats, others drove dog teams pulling supplies. The long, plodding caravan headed away from the ship and the site the men called Dump Camp. The team moved at a crawl, owing to their heavy loads and the difficulty of moving across uneven ice—a landscape defined by jagged ridges and huge blocks as far as the eye could see. After two tedious hours, the men had traveled only a mile. They were exhausted. The next two days were worse, and on the third day, November 1, Shackleton called off the march. The twenty-eight men had traveled less than four miles toward their destination. The commander knew that at the current pace, their supplies would give out long before they reached Snow Hill Island. He ordered the men to move their gear to a solid ice floe not far from the battered ship. Shackleton planned to have the men camp there while he considered his next move. The leader knew there was no hope of rescue. Not only were the men seven hundred miles northwest of where he’d originally planned to build base camp, but he’d also told family and colleagues not to expect any communication from him before early 1916. The leader understood that he’d have to get the crew to safety on his own, and he knew how difficult this would be. Shackleton had been to Antarctica twice before. The first time, as a member of the British National Antarctic Expedition (1901–4), he’d come close to death—a result he attributed as much to the team’s weak commander as to the continent’s harsh conditions. The second time, he’d led his own expedition (1907–9). His crew hadn’t achieved its objective of discovering the South Pole, but he’d learned a great deal about himself and his authority. He knew that cohesion, including the men’s faith in themselves and their leader, was as important to survival as adequate nutrition. Shackleton also understood that as the head of the expedition, he was responsible for these elements. Now, in 1915, against extraordinary odds, he had to advance his mission and keep his men believing they could achieve it with him. How exactly was the explorer going to accomplish his goal? How was he to keep his own courage and confidence levels high to feed those of his men? In November 1915, as the Endurance sank and the ice closed over her, the answers to these questions were anything but clear. What Shackleton did know was that he was committed to bringing all his men home alive, and he was willing to do whatever it took to accomplish this. In the midst of disaster, he’d made a conscious choice to lead. He was all-in, and his story offers up key leadership lessons for moments when disaster strikes. This reading group guide for Forged in Crisis includes an introduction, discussion questions, and ideas for enhancing your book club. The suggested questions are intended to help your reading group find new and interesting angles and topics for your discussion. We hope that these ideas will enrich your conversation and increase your enjoyment of the book. 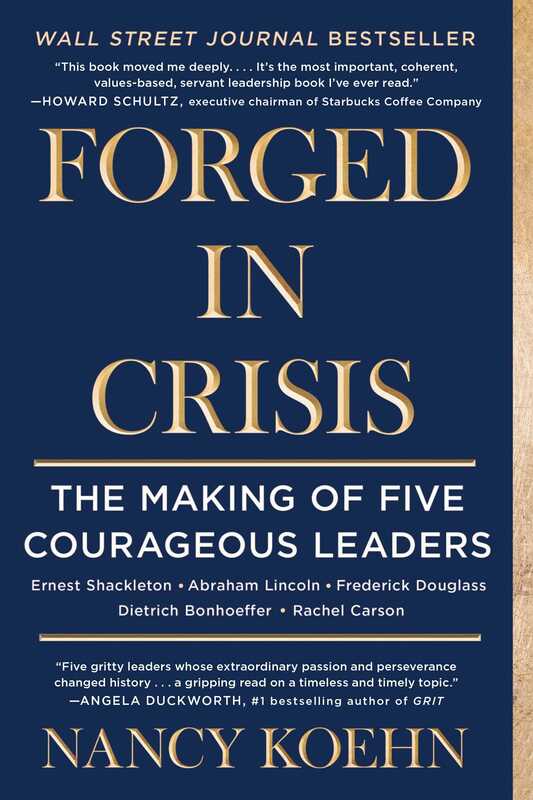 Forged in Crisis tells the story of five great leaders—Ernest Shackleton, Abraham Lincoln, Frederick Douglass, Dietrich Bonhoeffer, and Rachel Carson—and their journeys of perseverance and self-actualization in the face of enormous challenges. All driven by a higher purpose, all willing to make great personal sacrifices, these five men and women carried out their life’s work in times of great inner and outer turmoil. Shackleton led his men, stranded at the bottom of the world, safely home to England. Lincoln saw the United States through the bloody, divisive Civil War, bringing an end to slavery in the process. Douglass, himself an escaped slave, relentlessly campaigned for abolition. Bonhoeffer’s commitment to Christ drove him to fight against Hitler’s regime. And Carson published her seminal work, Silent Spring, as pesticide companies tried to discredit her and metastasizing cancer sapped her reserves of energy. Each leader was made, not born, forged in a crucible of dramatic extremity, and from each we can draw valuable lessons about how to live—and lead—today. 1. 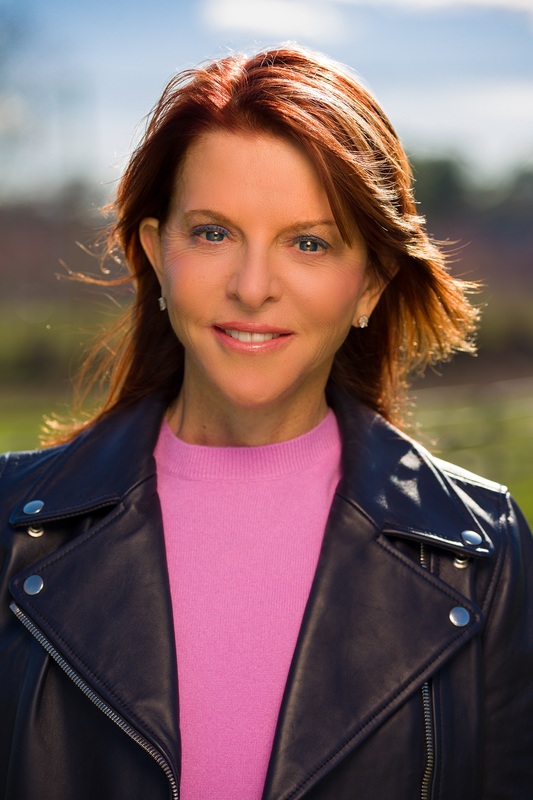 In her introduction, Nancy Koehn quotes David Foster Wallace, who wrote, “Deep down, you almost always like how a real leader makes you feel, how you find yourself working harder and pushing yourself and thinking in ways you wouldn’t be able to if there weren’t this person you respected and believed in and wanted to please.” Does this statement apply to the five leaders described in this book? How did Shackleton, Lincoln, Douglass, Bonhoeffer, and Carson work to inspire loyalty? 2. What role did Shackleton’s December 1914 decision to sail for Antarctica, against the advice of local whalers, play in the ultimate fate of his vessel? How much responsibility do you think Shackleton felt for that decision? 3. When the Endurance was finally crushed by pack ice, stranding Shackleton and his men thousands of miles from civilization, he immediately altered his mission from crossing the southern continent to bringing his crew safely home. What lessons does this decision have for modern leaders? 4. In Lincoln’s first inaugural address, he reminded the nation that “we are not enemies, but friends. We must not be enemies.” Despite his solemn plea, the United States was soon to be at war. How did Lincoln’s resolve to keep the Union together change and develop over his presidency? 5. How was Lincoln, over the course of his life, made into an effective leader? What were the factors that contributed to his successes? 6. In an 1847 speech to a British audience, Douglass said that he planned to go back to America “for the sake of [his] brethren.” Dedication to a higher cause, at great personal risk, is one of the attributes that tie all five leaders together. What was at stake for Douglass in returning to America? What was at stake for the other four leaders in their commitment to their missions? 7. Douglass and Lincoln are the only two leaders in the book who lived at the same time, met each other, and whose struggles coalesced around the same larger battle. How did each come to his commitment to the abolitionist cause? How did their different personal histories shape their commitment? 8. Bonhoeffer wrote, during his brief time in New York, of his despair and certainty that he had made the wrong decision in leaving Germany. How did this “dark night of the soul” influence his later work? 9. Despite his years-long commitment to fighting Nazism, Bonhoeffer himself was only responsible for saving the lives of fourteen people; all plots to assassinate Hitler ultimately failed. Is Bonhoeffer a failure? What is the significance of his life’s work? 10. Carson faced particularly female burdens, especially in the earlier part of her life, related to the care of her family. How did these burdens impact her ability to do meaningful work? What are the other limitations that women in leadership positions often face, historically and in the present day? 11. Carson, unlike the other four leaders, struggled with her health at the time of her greatest triumph. Consider the relationship between Carson’s physical well-being and the subject of her work—and how Shackleton, Lincoln, Douglass, and Bonhoeffer’s physical strength or weakness influenced their performance. 12. The leaders in this book were driven by willingness to improve themselves, desire to serve the greater good, drive for success, and strength in the face of crisis. What other threads tie these leaders together? 1. Consider reading one of these great leaders’ works, like Carson’s Silent Spring, Douglass’s Narrative of the Life of Frederick Douglass, or Bonhoeffer’s Ethics. 2. Though there are no recordings of either Lincoln’s or Douglass’s speeches, they do survive in printed form. Read, pick your favorite, and discuss. 3. In tribute to Carson’s and Shackleton’s deep love of nature, move your book club outdoors.